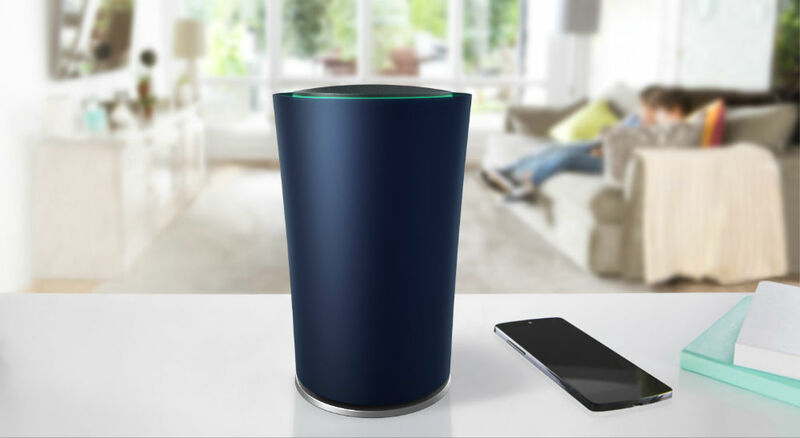 This morning, Google announced a partnership with TL-LINK, introducing the OnHub WiFi router, made specifically for residential homes. The router is no ordinary box with blinking lights, usually needing to be reset every now and then due to unresponsiveness. Instead, this is a “smart router,” featuring over-the-air updates, an app to control it, and much more. Inside the OnHub application, users can view how much data their home uses on how many devices, plus, the master of the house can set Priority devices, potentially leading to fewer dropped signals for your most used devices. In addition, the OnHub router features a circular built-in antenna for better signal coverage inside any given space. For specs, the OnHub features 802.11a/b/g/n/ac, and includes “next-generation technologies” like Bluetooth Smart Ready, Weave, and 802.15.4. This essentially future-proofs the router, meaning you won’t need to replace it anytime soon. And with OTA updates and 4GB of onboard storage, your router will come out of the box, and remain smart. The OnHub is priced at $199 and comes in either Blue or Black. Pre-orders are now live on a long list of retailers.